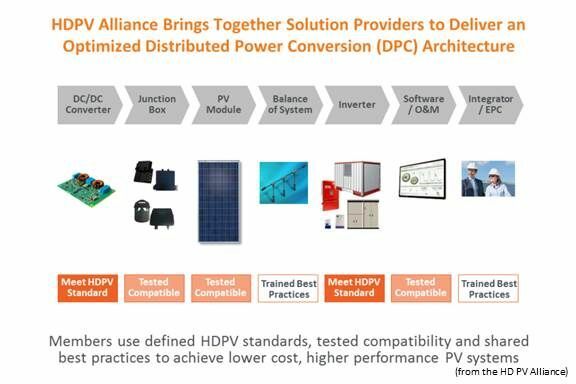 The HD PV Alliance is establishing a set of standards that allow interoperability between DC optimizers and PV inverters without needing to reconfigure each individual component in a solar power plant. The High Definition Photovoltaic (HD PV) Alliance is an affiliation of solar product manufacturers that have chosen a distributed power architecture: a direct current (DC) optimizer at each module channels voltage-conditioned electricity to compatible centrally located inverters where it is converted into alternating current (AC) for the grid. The Alliance just announced its first published set of standards allowing members’ inverters to interact efficiently with founding member Ampt’s DC optimizer. 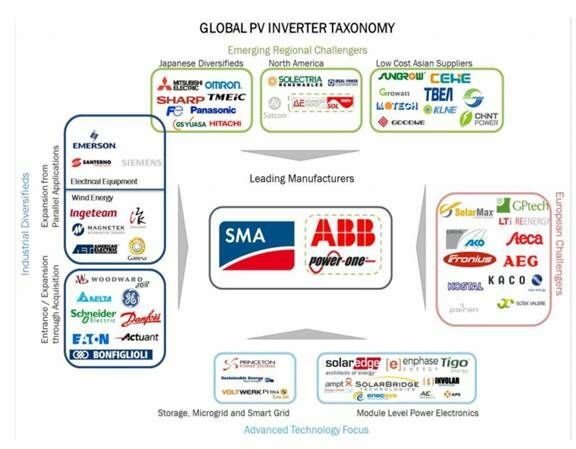 Some large inverter manufacturers like SMA and ABB/Power-One continue to provide products that optimize the system’s voltage and electricity for transfer to the grid. But increasing the number of MPPT points produces a more optimized system, according to Shiao. 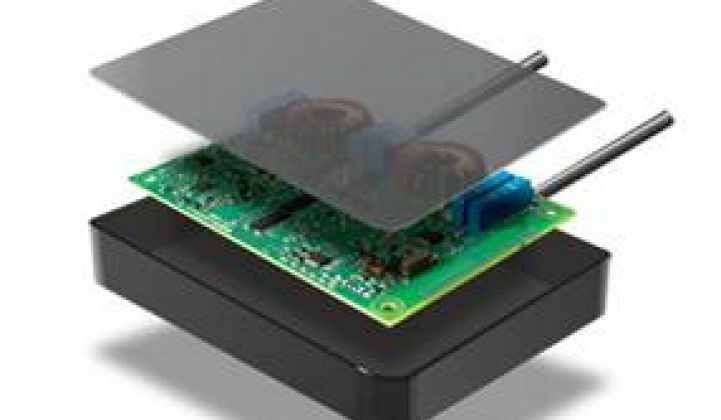 By using module-level power electronics, it also becomes possible to connect more modules in a string and obtain more efficient operation of the system. But, he added, it can come at a significant cost increase. SolarBridge, Enphase Energy (ENPH), Enecsys and other microinverter firms perform the power optimization and DC-to-AC conversion at the panel, creating what some call an AC module. Members of the HD PV Alliance intend to create a set of open-source standards through which they can use the separate DC optimizer and inverter architecture to provide output efficiencies and cost savings for project developers. The standard allows system designers to obtain the advantage of a module-level MPPT while retaining a series of centrally located inverters that assimilate strings of DC outputs from the panels and convert them to AC for transmission. “Everyone dreams about universal interoperability,” explained Mark Kanjorski, HDPV Alliance Chair and Ampt Marketing Director. “We have started with this inverter compliance standard.” Through such standards, the Alliance streamlines access to the distributed power architecture for individual product manufacturers. 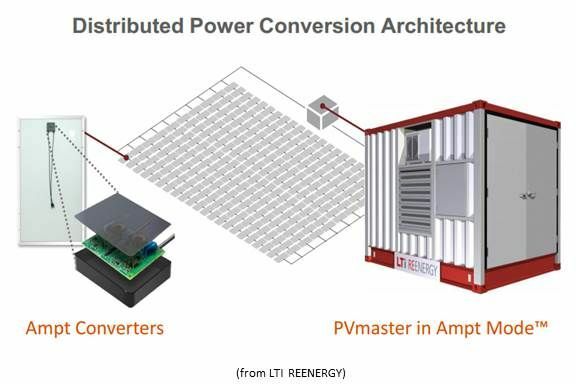 Earlier this year, German firm LTi REEnergy released a solar power plant inverter with an “Ampt Mode.” Shoals Technologies makes a module junction box with an Ampt optimizer built into it. Alliance member panel manufacturers like JA Solar and Eoplly can therefore be fitted with a junction box equipped with an optimizer that conforms to an inverter, creating a sort of prematched set of system components in an optimized topology. SolarEdge recently announced a similarly optimized topology comprising its own optimizer and inverter. The advantages of an optimized topology, according to both the Alliance and SolarEdge, include a higher system power output at a lower cost per watt than in traditional central inverter architectures. But the real question is whether the DC optimizer-inverter topology can beat the cost per watt of systems that use AC modules. A DC optimizer and string inverter combination added a cost of $0.59 per watt to a commercial system in 2012, according to the GTM Research report, which also forecasted that the cost will drop to $0.31 per watt in 2016. A microinverter added $0.62 per watt in 2012 and will add $0.37 per watt in 2016. But each offers offsetting cost savings. While the cost-effectiveness debate remains unsettled, there is little doubt the HD PV Alliance’s effort is improving the solar industry’s limited component interoperability.